Large one bedroom one bath very light, clean and bright. Private fenced in yard for outdoor entertaining. Unique interior... vaulted beam ceilings and white washed knotty pine walls throughout. Refinished hardwood floors, dishwasher, gas stove, refrigerator, white tile counter tops. Double pane windows. Large separate, private walk in storage unit great for bikes. Covered parking. Coin-op washer/dryer, Owner pays garbage . 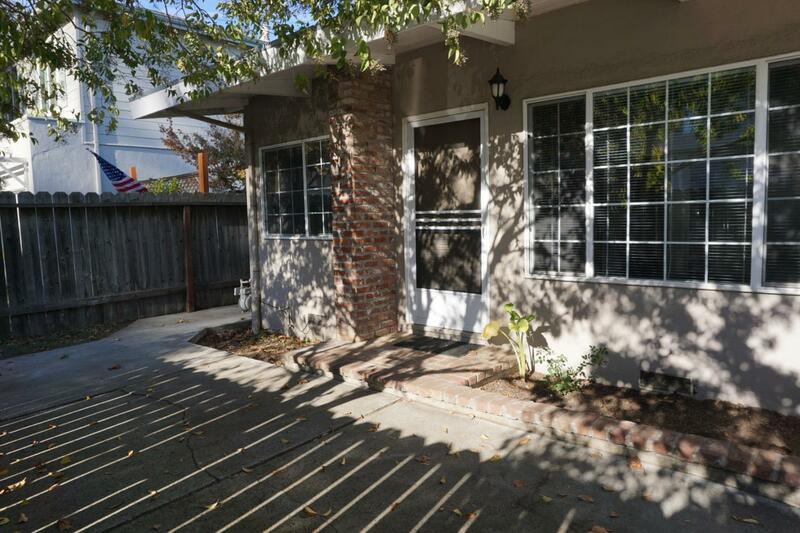 Walk to downtown, Cal Train, restaurants, etc. Sorry no smokers or pets. Owner pays garbage/gardener - Renters Insurance required.